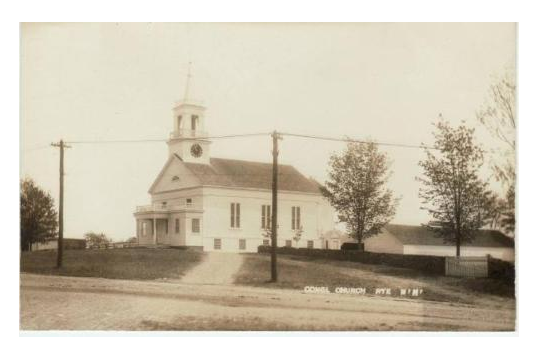 Rye Congregational Church, an independent Christian Fellowship, is located in the center of Rye, New Hampshire, on “Meeting House Hill.” The current building is the fourth structure to be erected on that site. The first, a small meeting house, was built in 1725 and dedicated in 1726. It fell into disrepair and was torn down and replaced in 1755 with a larger meeting house. 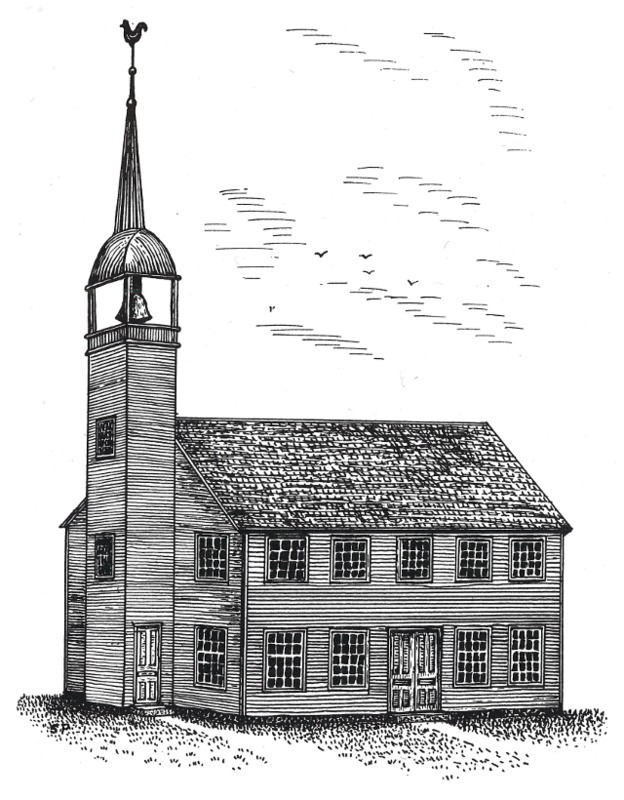 As was true of typical New England meeting houses, sermons were preached there on Sunday, and town meetings were held about once a month. Prior to 1800 this church/meeting house was known as the Church of Christ at Rye. November 1st. Attended by the President of the State (Genl. Sullivan) Mr. Langdon, & the Marshall; I went in the fore Noon to the Episcopal Church under the incumbency of a Mr. Ogden and in the Afternoon to one of the Presbeterian or Congregational Churches in which a Mr. Buckminster Preached. I dined at home with the Marshall and spent the afternoon in my own room writing letters. Reverend Huntington Porter was the third minister of the Church, serving from 1789 to 1835. He delivered a “Half-Century Sermon” on the occasion of the fiftieth anniversary of his ordination to ministry. 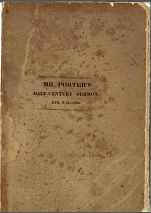 Click here for a PDF copy of his sermon: MR. PORTER’S HALF-CENTURY SERMON. 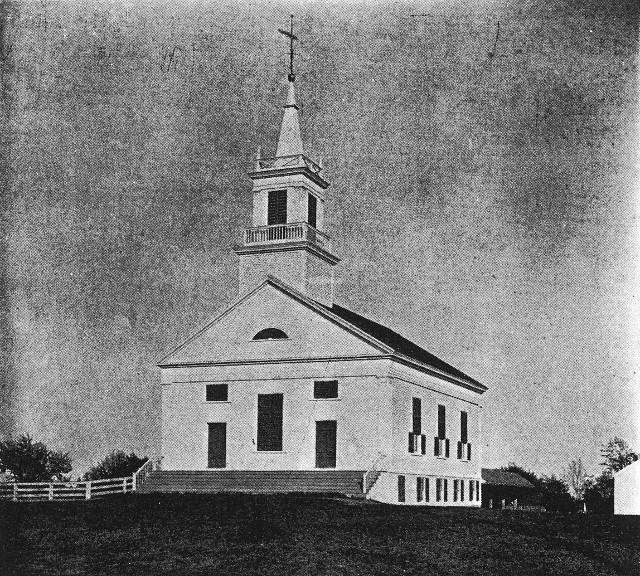 The Congregational Society, formed in 1836, erected the third church the next year following the sale by the town of the older building. In 1945 the Rye Christian Church merged with the Congregational Church to form Bethany Congregational Christian Church. In September of 1957 a Parish House connected to the church was dedicated. However, on March 19, 1959, fire completely destroyed the third meeting house in ninety minutes. The new Parish House, though badly damaged, was saved. It was rumored that at the time of the fire parishioners were in conflict over whether to replace the church organ. 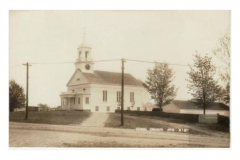 Following the fire, congregational parishes in neighboring towns offered help, according to John Parsons, a prominent leader in the church and author of “The Churches of Rye, New Hampshire”. He credited the Pilgrim Fellowship (youth group) with starting the building fund by donating their two years’ savings for a trip to the United Nations. He claimed that funds came from many sources: “parishioners, friends, business firms, lectures, plays, suppers, rummage sales, a fashion show, a horse show, etc.” In less than six months the building fund grew to $200,000 (adjusted for inflation more than $1,500,000). At the June 4,1961, dedication of the new church New Hampshire Governor Wesley Powell, also an ordained minister, delivered the sermon. During the late ’70s Bethany experienced growth in attendance and programs and in 1986 built a large addition to the north side of the church. The addition completed the building as we know it today. When Bethany requested permission to build another addition in 1997, they were denied by the Rye Historic District Commission. 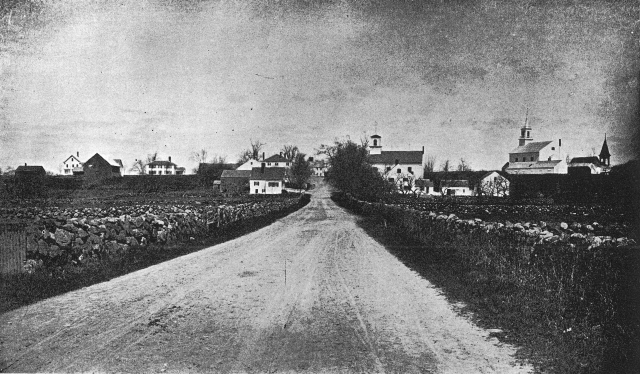 Bethany then purchased a parcel of land in Greenland, New Hampshire, near the Rye town line and built a much larger church that would feature a less traditional worship style and more programs. The original plan was to use the Rye church for weddings and church offices. About forty local parishioners formed a group whose goal was to remain in the Rye church and purchase the building from Bethany. On October 8, 1998, this group officially registered with the state of New Hampshire as “The Friends of a Congregational Community Church in Rye, New Hampshire.” The steering committee was comprised of nine people, some of whom are currently in leadership at Rye Congregational Church. The first congregational meeting was held on January 24, 1999, at Rye Junior High School. At that meeting the attendees voted that the steering committee become the Board of Directors. The Vision Statement was also accepted on that date. The first worship service was held on March 7, 1999, at the Learning Skills Academy on Washington Road in Rye. There the “Friends” held monthly worship services with guest ministers and speakers, until September 1999, when services became weekly. On January 3, 2000, the “Friends” name was amended by the state of New Hampshire to be Rye Congregational Church. Weekly services continued at the Learning Skills Academy until May 7, 2000, when the first weekly service was held in the church at Rye Center (formerly Bethany Church) with the interim pastor, the Reverend Robert McNaughton from Cromwell, Connecticut. 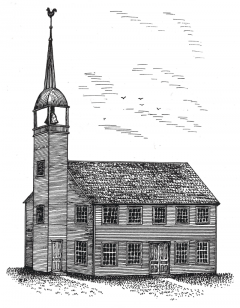 On September 17, 2000, 124 men and women became charter members of Rye Congregational Church. That same month, upon recommendation from the pastoral search committee, the congregation called the Reverend John A. Solie of Waldorf, Maryland, to be the first pastor of the “new” church that dated back to 1726. He accepted the call and preached his first sermon on October 29, 2000. The Board of Directors continued to serve as the governing body until October 15, 2000, when elections were held and the Board of Deacons, officers, and committee members were established. 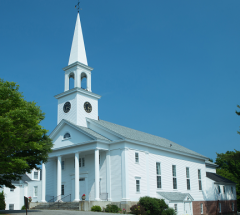 On December 22, 2000, representatives from Bethany Church and Rye Congregational Church met to sign papers for purchasing the church and transferring the deed for the church building from Bethany Church to Rye Congregational Church. It is worth noting that by preserving this building as a place of worship the “Friends” were keeping a tradition that began in 1726.